Outdoor living rooms are popular for good reason: a space with the creature comforts of an indoor living room with the views, soft breezes, and natural surroundings of the outdoors? Who wouldn’t want to kick back in a place like that? Ready to make a space on your backyard or patio to put your feet up and stay a while? 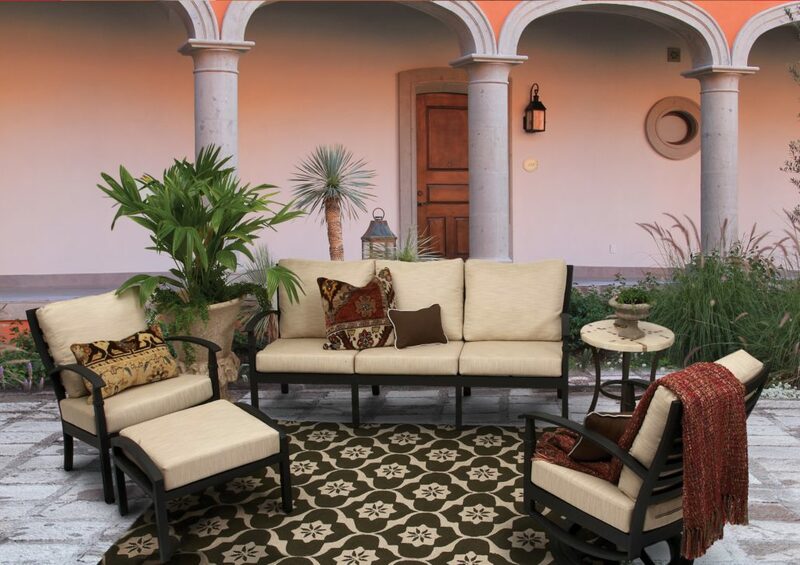 We’re here to help with tips for creating an outdoor space with indoor comfort and outdoor durability. 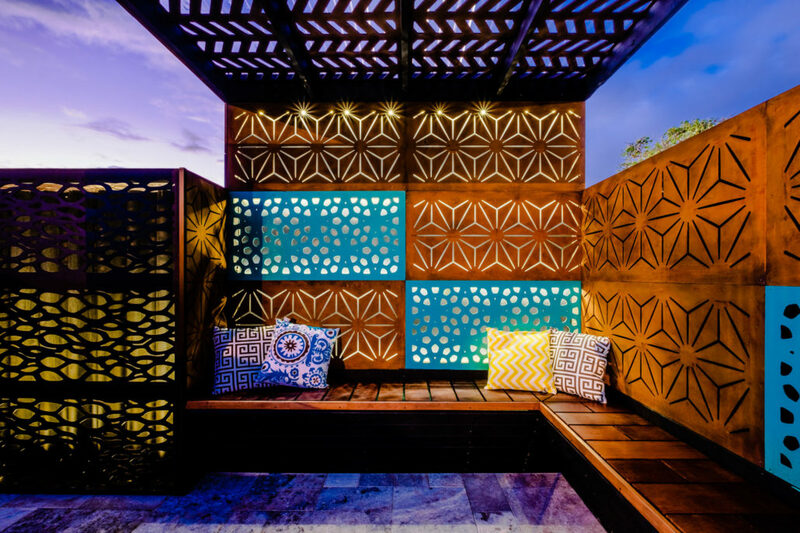 Though it’s not necessary to have an actual framework for your outdoor living room, if you live in a place with frequent bad weather, you’ll probably want to protect your furnishings with a permanent structure like a pergola or even a cabana or gazebo. 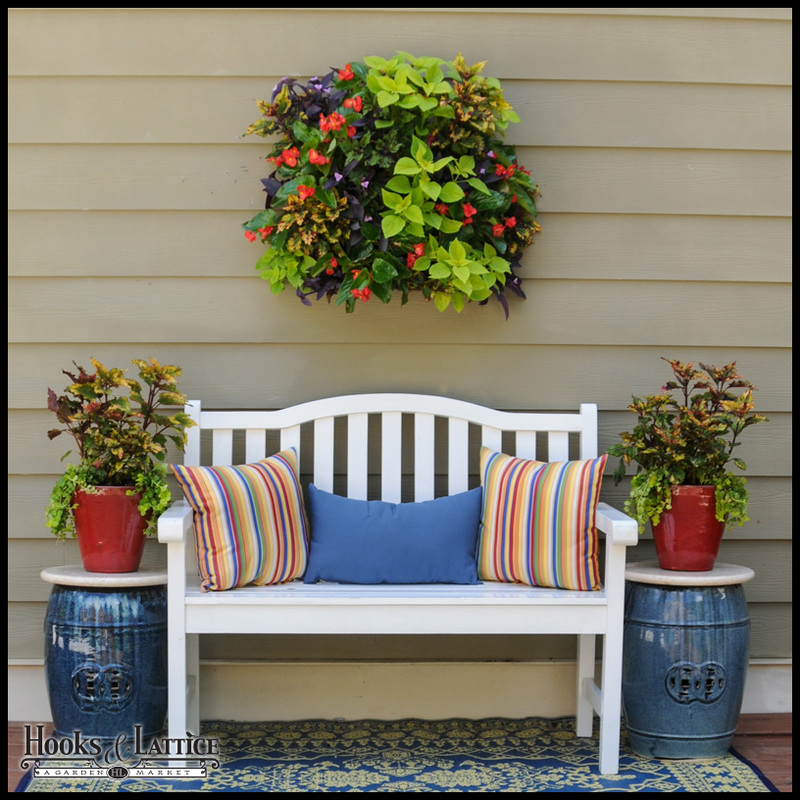 For milder climates that need no protection, you can still create a perceived border with stylish planters, decorative privacy screens, and other elements that act as a “frame” for your space, making it cozy and private. 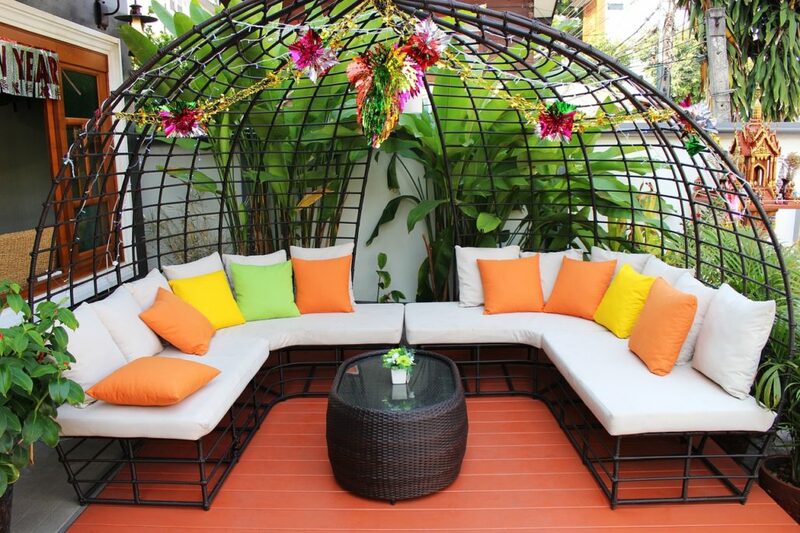 Looking to lounge in the sun with your partner? Seeking a place to entertain where your guests will be comfortable? The right seating for your outdoor living room is all about how you plan to use the space. Chaise lounges for two may be your best bet if you don’t have tons of space or you don’t plan on using the space for entertaining. However, if backyard barbecues and cocktail parties are your thing, then a nice plush outdoor-grade sectional or some stylish chairs around a table would work better. What’s a space to relax without a space to set down a cold drink or a platter of appetizers for your guests? 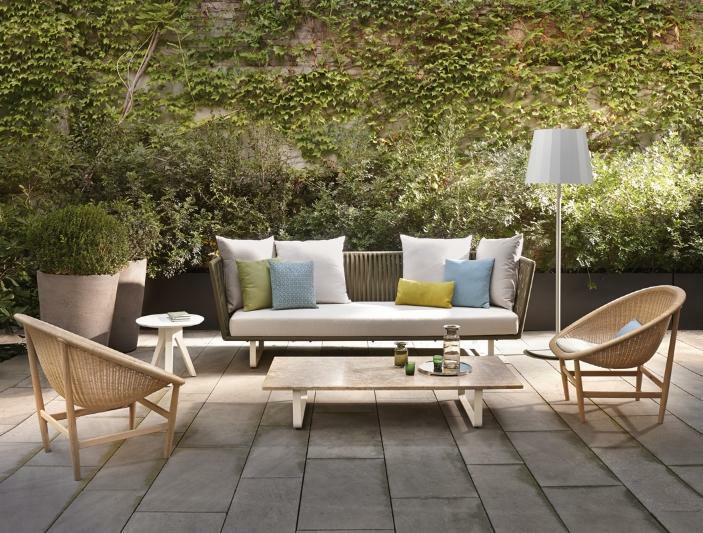 Selecting the right patio table for your outdoor space depends on the size of the space and the function of the table. Other factors, like the style of your space as well as the durability of the table in outdoor environments should also be considered. 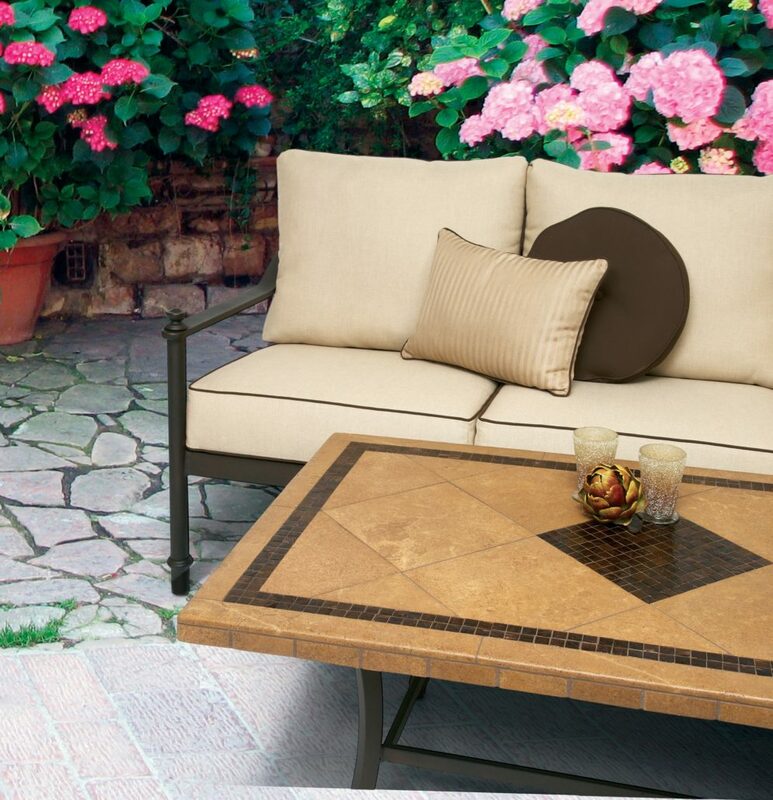 At Hooks & Lattice, we offer artisanal patio tables made with hand-laid travertine mosaics. Available in round and rectangular shapes and a variety of sizes and styles, these one-of-a-kind tables will elevate your outdoor space with their beautiful yet durable designs. Warm yourself by the fire and create a relaxing space to gather when guests arrive. A fire pit or bowl is the perfect functional centerpiece for your cozy outdoor living room. With our ready-to-finish concrete fire pits, you can create the look you want with stones, tiles, stucco—you name it! And the modern design of our copper fire bowls will be the focal point when guests arrive. Now that you have the framework for your space, the beauty is in the details: your décor. Hanging terrariums are a chic way to bring greenery to eye level, adding natural textures and colors to your space. Place succulents or air plants in a wooden vertical wall planter for a contemporary feel and a plant arrangement that is easy to care for. A living wall is another great way to add a natural element into your modern space. You don’t have to settle for rough textures for your outdoor space to be durable to withstand the elements: find some outdoor-grade cushions and accent pillows to spruce up a neutral (or further highlight a colorful) furniture set. Add a throw blanket (they make ones specifically for the outdoors!) and you’re ready to snuggle up with a book and a glass of wine to watch the sunset. 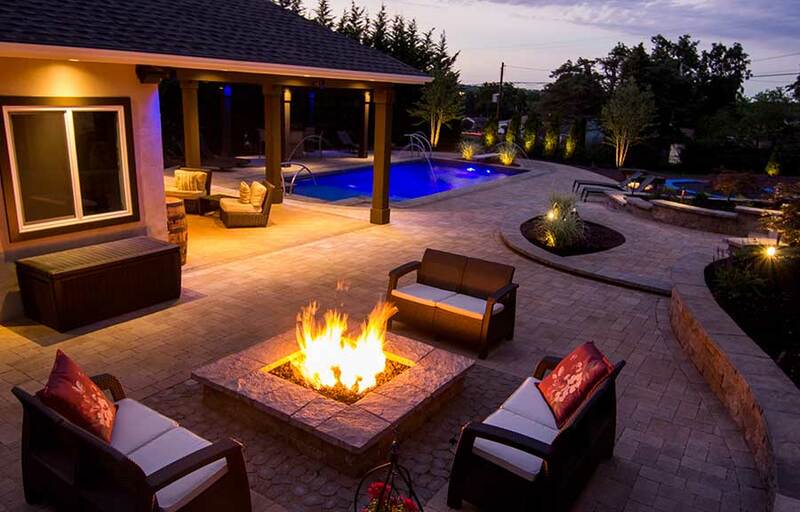 When the sun goes down, you still want to be able to enjoy your outdoor space—so light it up! You have lots of lighting options to choose from, depending on your electrical setup and location of outdoor outlets as well as your own preference. Hanging pendant lights are unique as well as functional, and since ours are low-voltage, they give off just the right amount of light to make yours a magical space. 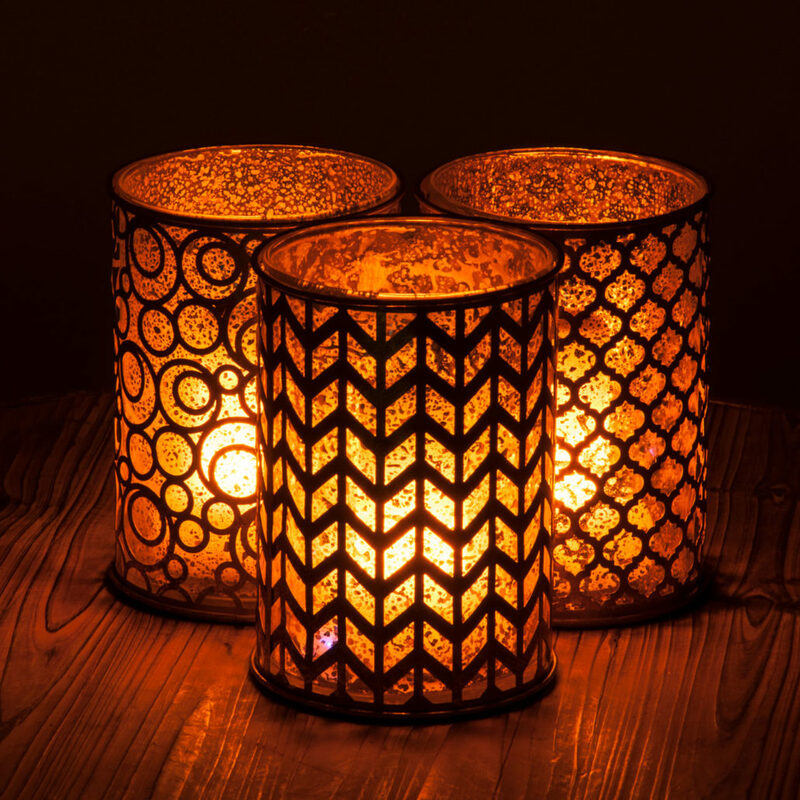 Or you can keep it simple yet beautiful with a decorative hurricane lantern with a battery-powered flame with a built-in timer for just the right mood at just the right time. How Will You Style Your Outdoors? We’d love to help! Ask us your questions or place an order by visiting us at www.HooksandLattice.com or calling 1-800-896-0978. Clean Up Your Curb Appeal for Spring with These Home Projects Plant a Butterfly Garden for Spring!